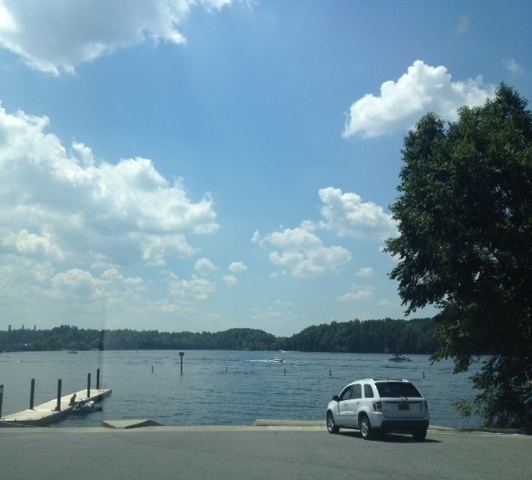 Summertime in the Lake Norman Area:Summer is still hopping at Lake Norman! The weather is still hot and people are out on LKN! Whether you are riding up on your water craft to The Rusty Rudder or North Harbour Club, there’s something for everyone on Lake Norman this summer! Check out these great restaurants on Lake Norman. There’s also great water activities on Lake Norman from sailing, kayaking, jet skiing and so much more. Check out all the types of water rentals and classes that are possible on Lake Norman for your enjoyment. Also don’t forget to come out every Saturday in the summer to The Fox and the Hound in Birkdale Village.Every Saturday this summer is Kiss 95.1 Anchor Island at Lake Norman with the Ragin Uptown Luxury Yacht Charterand Kiss 95.1 starting at 10 am. What a great chance to pay just $10 to be out of a music fun loving cruise with your own DJ!